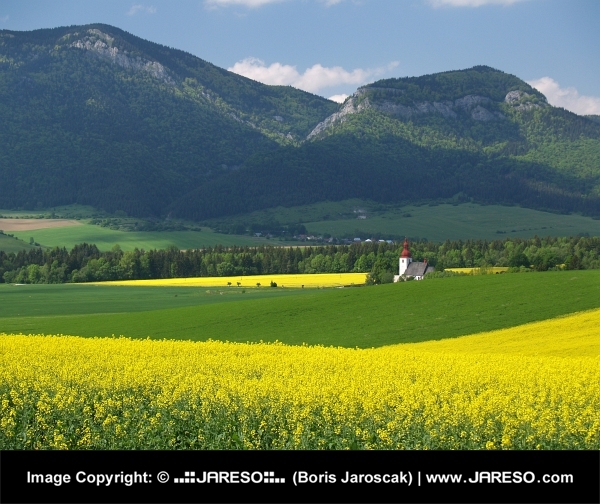 Summer view yellow fields, mountains and historical Roman-Catholic church of Saint Ladislav (kostol svätého Ladislava) in background. 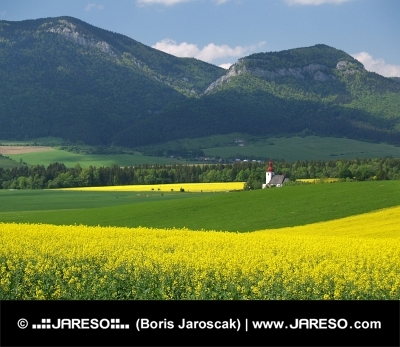 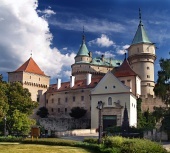 This scene is located near Liptovske Matiasovce village, Liptov Region, northern Slovakia. 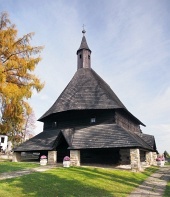 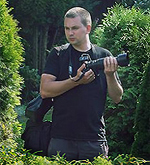 Church of Saint Ladislav is declared as national cultural heritage of Slovakia.